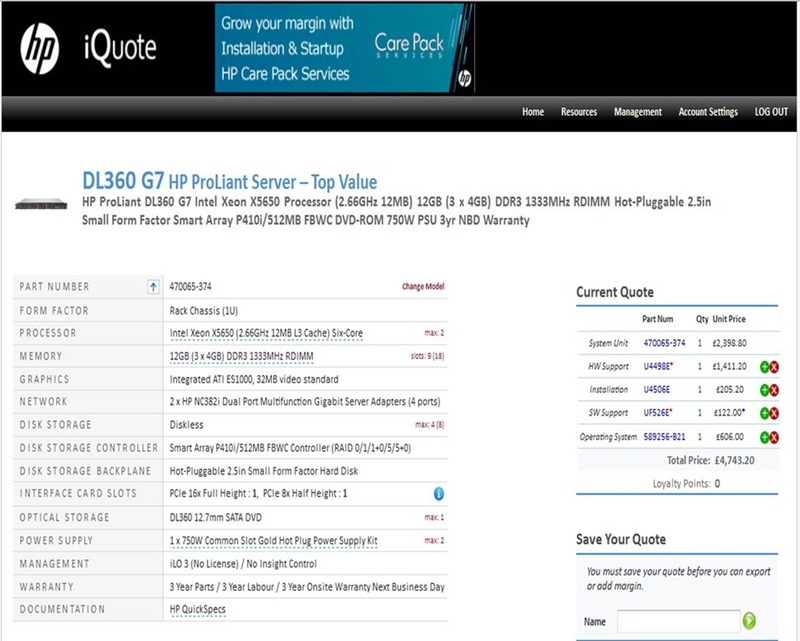 A new way to start a quote in HP iQuote: Option Packs. Instead of starting a new quote with a System Unit Part Number it is now possible to apply “Option Packs” to apply logical groups of options and/or services. 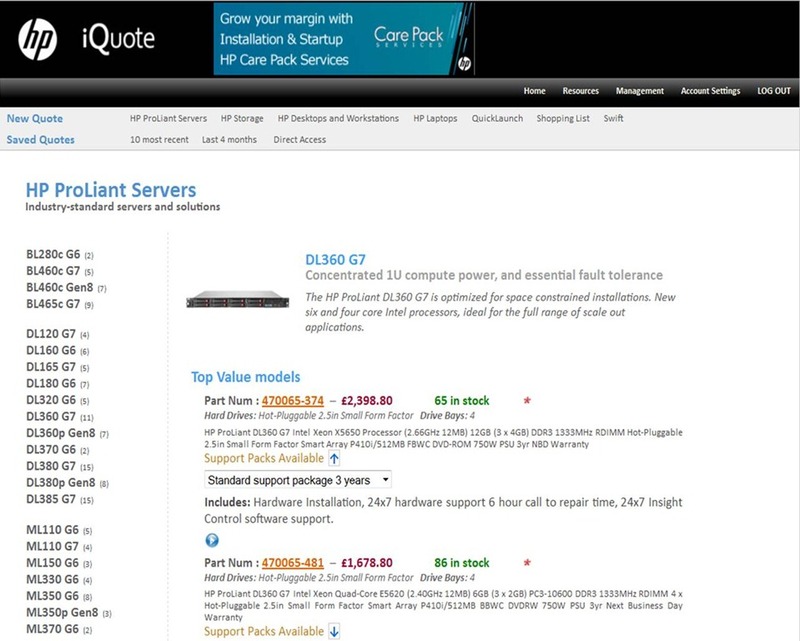 For PSG, as an example, HP or the HP iQuote Host can define logical bundles. If you want to offer a solution for every HP 5330m Notebook for a very mobile user: exec carry case, extra battery, travel power, accidental damage Care Pack e.t.c. it is possible to make that solution a single click add. 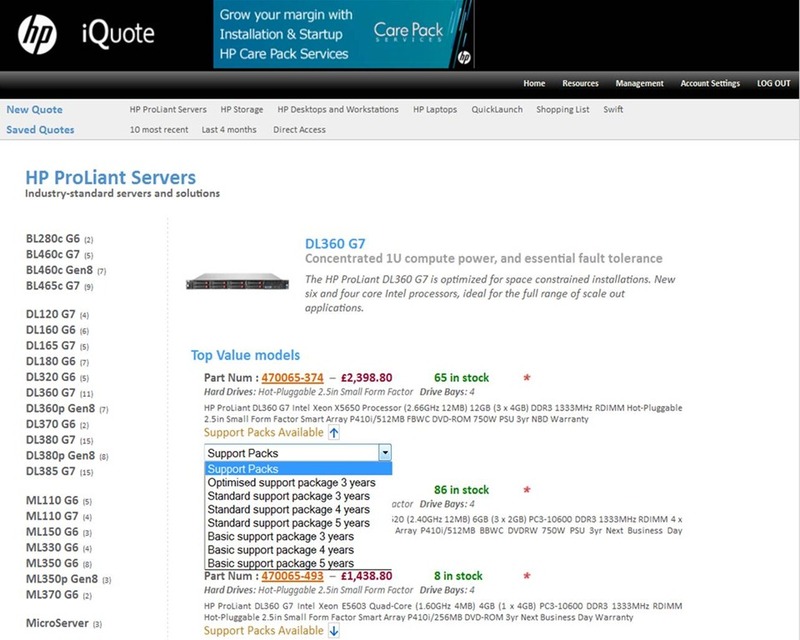 HP iQuote still invokes Auto Add unless the Option Pack contains an Option Type that would be added. The Option Packs 100% respect the configuration rules and of course items can be removed from the Cart/Basket. They work on any supported Option or Service and combinations of course.